Like I said yesterday, KERS are everywhere. Volvo, Porsche, Audi, Ferrari. It seems like everyone is hopping on the Kinetic Energy Recovery System bandwagon. Who can blame them? It’s potentially game-changing hybrid technology. Next on deck is Renault’s offering. 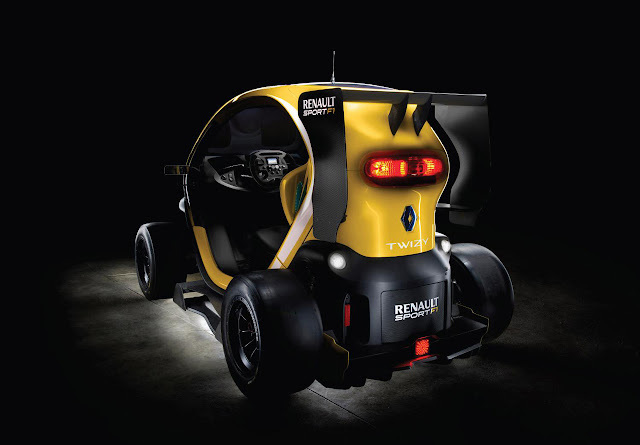 In an effort to win the prize for the goofiest looking and least practical KERS vehicle, Renault presents the Twizy Renault Sport F1 Concept. I have to admit, before getting into the particulars and just looking at it, I want it. A lot. I’m not sure why. It looks likes a golf cart and an Formula 1 race car had a child which they named Twizy. I want it the same way I want a solid gold cocktail stirrer. It’s just weird, superfluous, and downright awesome. But, I digress. 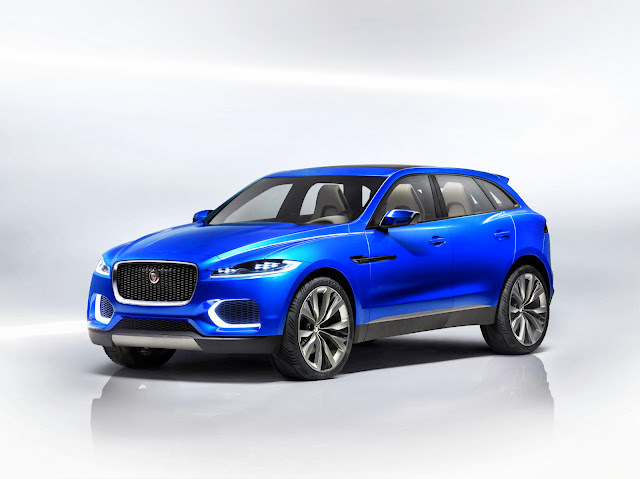 First, I ask a question I don’t normally need to ask when referring to cars: What is it? Short answer… It’s Renault’s take on an “electric urban compact” featuring “muscular styling and impressive performance credentials”. Oh. Well, that explains it. Basically Renault says the Twizy Sport F1 Concept is supposed to serve as a bridge between their Formula 1 technology and their production cars. I thought that was supposed to be their A110-50 Concept. My mistake. 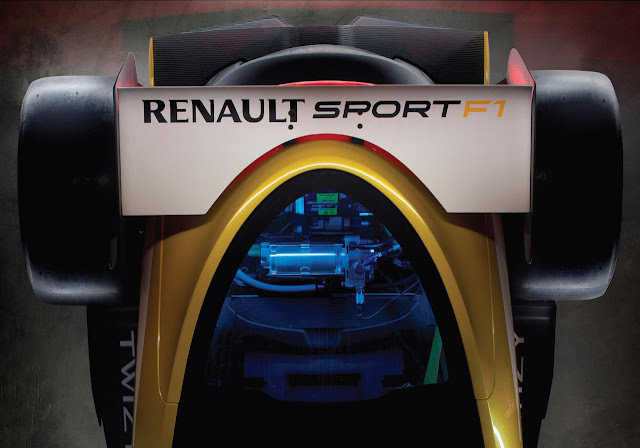 About that F1 technology… The Twizy Renault Sport F1 sits on the wheels of a single-seater racer and has the front splitter, side pods for channeling air, huge… nay, gigantic rear wing, and diffuser. The little-racer-that-could even has an Formula 1-style rain light. It certainly looks the part, but of an F1 car-golf cart hybrid. What about it’s performance chops. Ah, my dear reader, that’s where the KERS comes in. 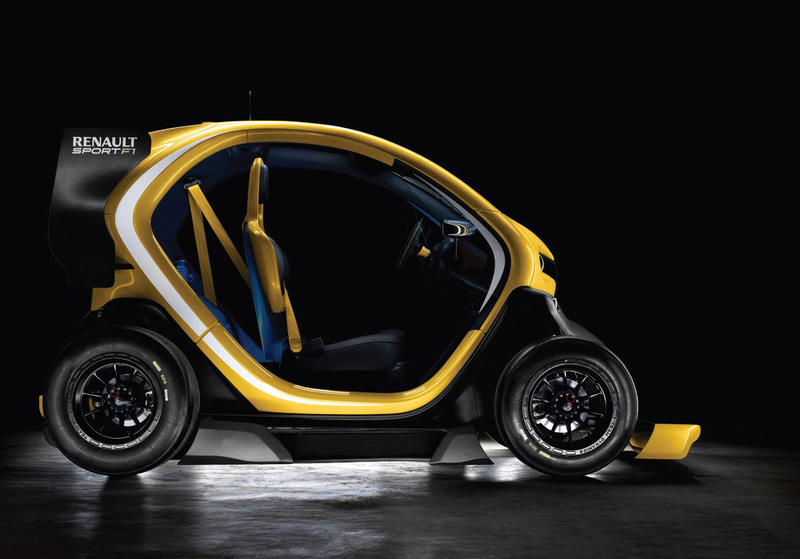 The Twizy Renault Sport F1 Concept uses the same style Kinetic Energy Recover System (KERS) as the Renault F1 car and attach it to the regular Renault Twizy’s 17 hp electric motor. The result: The Twizy Sport F1’s power is bumped to an incredible 97 horse (for a 564 kg electric car), almost six times that of the regular Twizy. 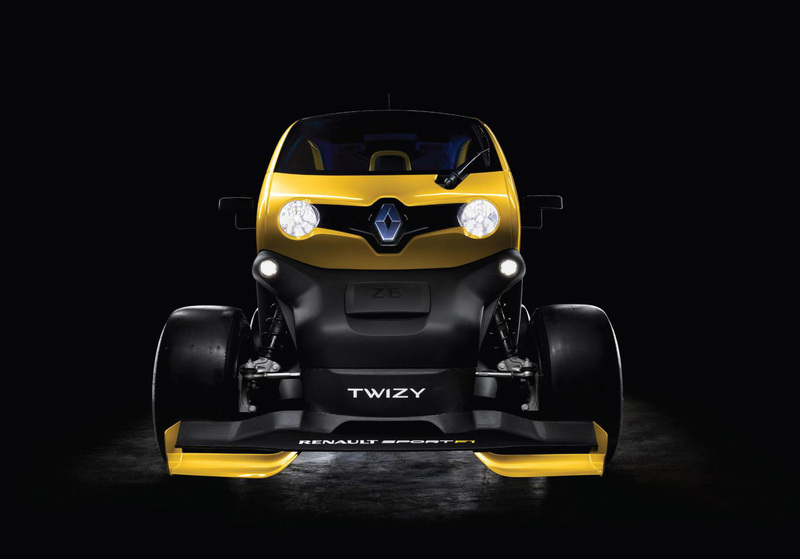 The Twizy Renault Sport F1 concept will hit 62 mph as fast as the fastest production Renault, the Mégane Renaultsport 265, about 6.1 seconds. Now, that’s a serious golf cart. 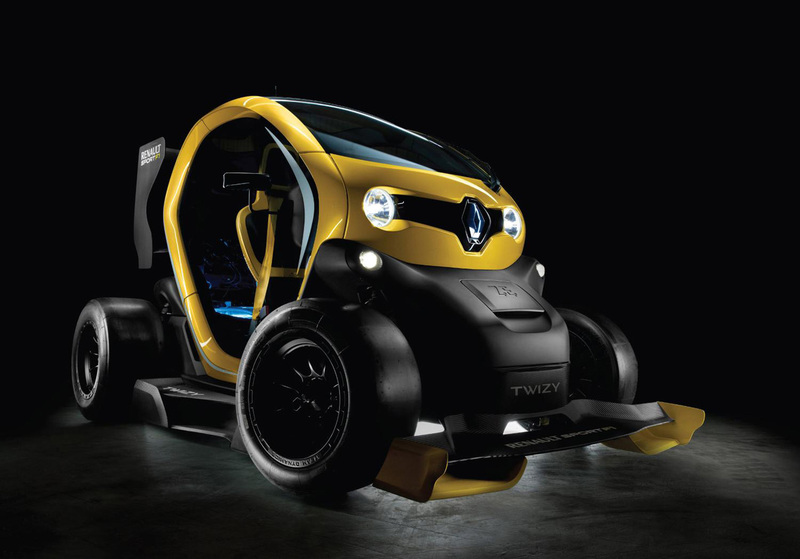 But, don’t expect to run out to a Renault dealership and pick up a Twizy Renault Sport F1 Concept. Maybe if enough people say please… hmm… you never know. Be sure to check out the Tech Specs and press release below for more info. 25/04/13 — Renault has chosen the Twizy manufacturing plant in Valladolid, Spain, to present its new Twizy Renault Sport F1 concept car. This fun take on the brand’s electric urban compact features muscular styling and impressive performance credentials to serve as a bridge between the world of F1 technology and that of production cars. – Eric Diemert (Design Director, Renault Sport Range). – Tarik Ait Said (Project Coordinator, Twizy Renault Sport F1). 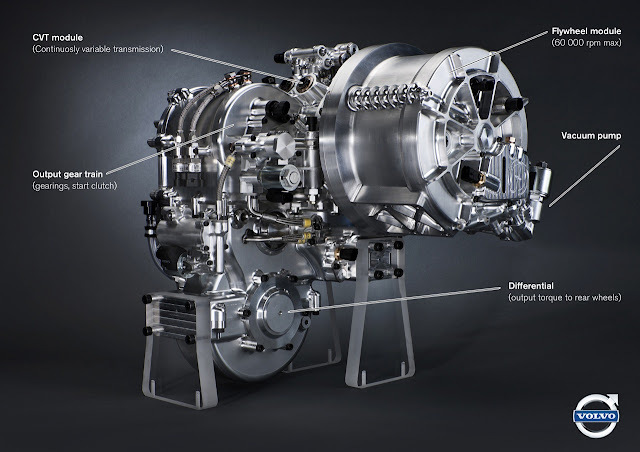 – An electric motor-generator unit (MGU) directly linked to the driveshaft. – A KERS Control Unit (KCU). – Supply of a production Twizy. – Chassis modifications and fine-tuning. – Patrice Ratti (General Manager, Renault Sport Technologies).